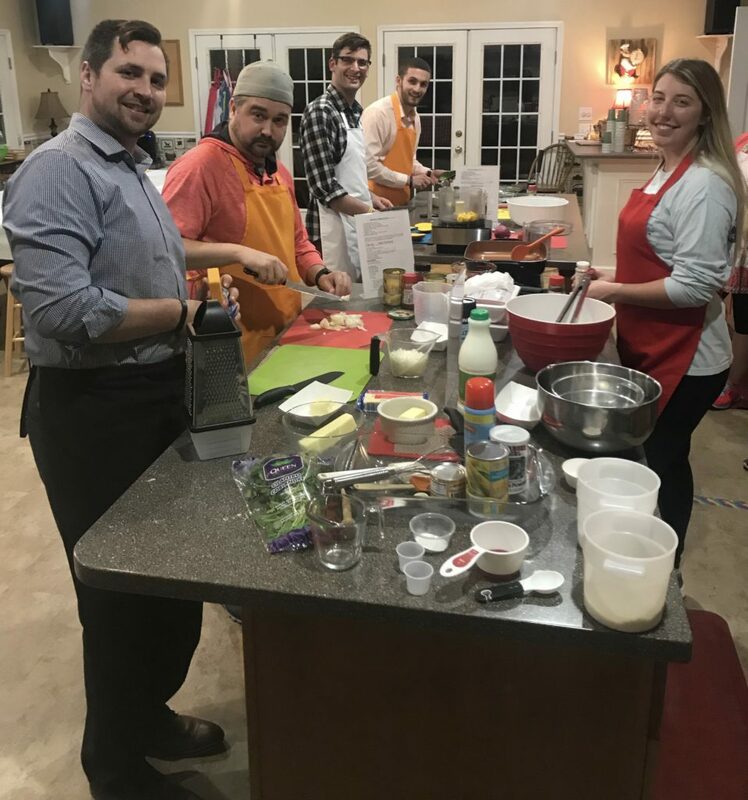 Cooking is a great way to relax and spend time with colleagues. It's also a perfect team-building activity! You never really know someone until you try to make Chocolate Mousse together! Our corporate classes are available on weekday evenings and are appropriate for 8-12 people. We will customize a menu that is sure to please the whole team! Pricing starts at $49 per person. Plan to spend 2-2.5 hours together cooking and eating! You are welcome to bring along your favorite beverages to enjoy.